Three generations of an imaginary pioneer family find their lives intertwined with those of royal characters who marked the adventurous Conquest of the American West. Within a century, Brett MacDonald and his descendants grow, grow old and die, remaining faithful [as far as possible} to their ideals of loyalty, justice, respect for themselves and others, while a wave of violence and prevarication changes definitely the face of a country that is not, as promised, the antechamber of Paradise. 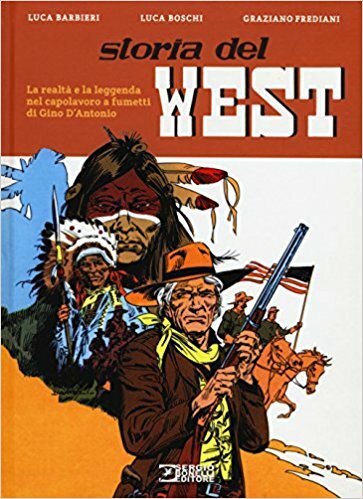 The compelling epic of the "History of the West", launched by the publisher Sergio Bonelli in 1967, was written by an international cartoon teacher, Gino D'Antonio, who also illustrated it with the help of very valid friends and colleagues. A timeless masterpiece, where every legend hides an anti-historical truth: "Those who made the West were human beings, white or red, with qualities and defects common to all". 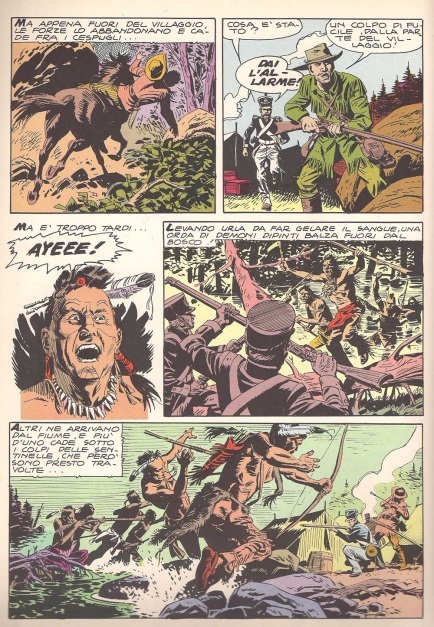 A hardcover version of this Italian comic strip was released by Sergio Bonelli in Italian in 2017. Gino D’Antonio was born in Milan on March16, 1927. He made his professional debut in 1947, with the comic book series Jesse James published by Edizioni Della Casa, and from 1951 he started collaborating with the magazine Il Vittorioso. In 1956 he began a proficous collaboration with Fleetway Publications, for which he specialized in creating war comics. His stories were published in British publications including Tell Me Why, Junior Mirror, Junior Express and Eagle. In 1967 D'Antonio co-created with Renzo Calegari his best known work, the long lasting comic book series Storia del West, which run until 1980. In the early 1970s, he started collaborating with the magazine Il Giornalino, for which he created numerous comic series, notably Susanna, Il soldato Cascella and Uomini senza gloria. In 1987, he eventually became the head of the comics section of the magazine. Gino D’Antonio died of a stroke at his house in Milan, Lombardy, Italy on Christmas eve December 24, 2006.